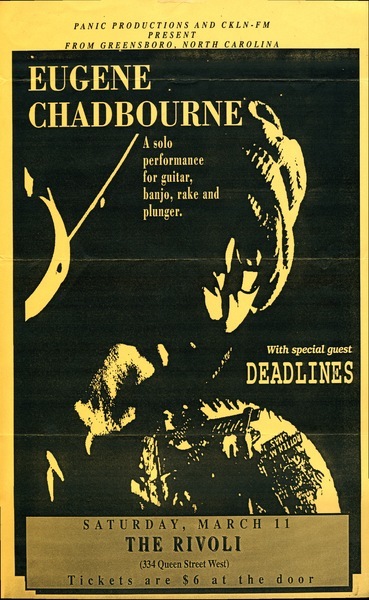 Hand bill for 1993 show with Chicken Milk at Naked Lunch. 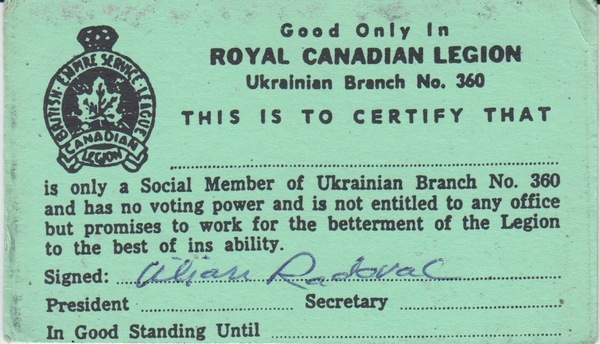 Membership card for Club 360, aka Ukrainian Branch no. 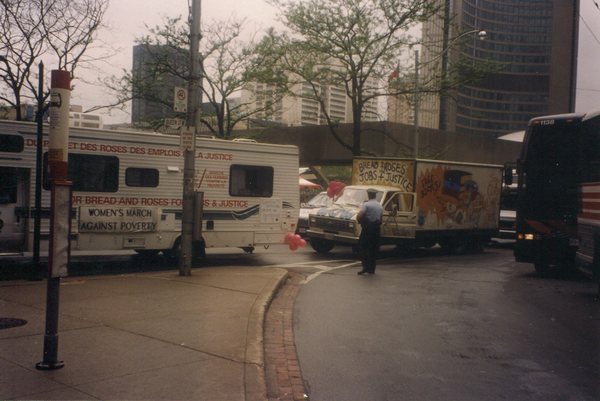 360 of the Royal Canadian Legion. 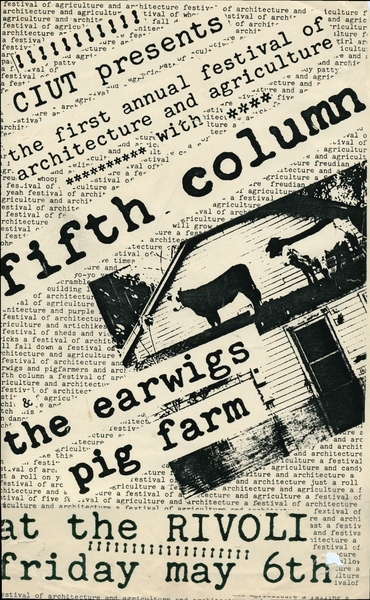 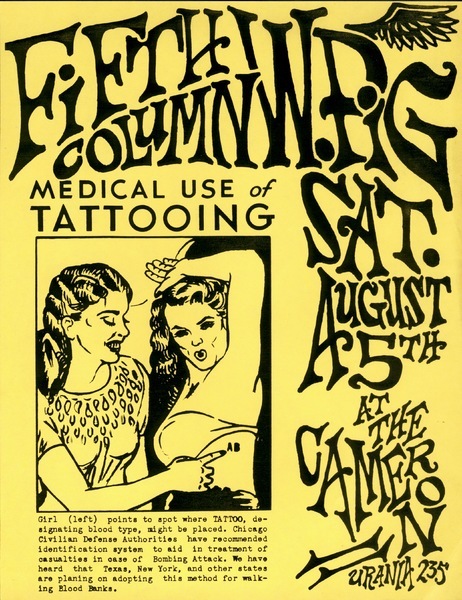 Poster for Fifth Column and Wiggle Pig at The Cameron House, Saturday August 5th, 1989. 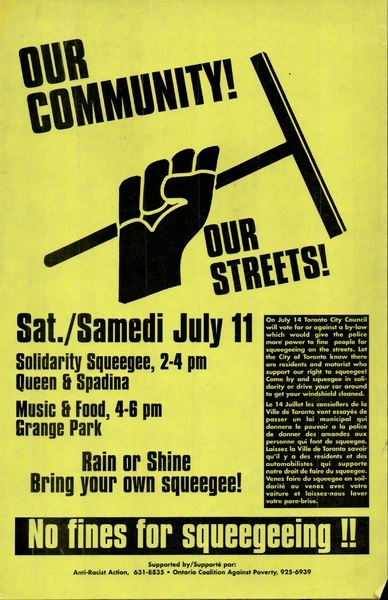 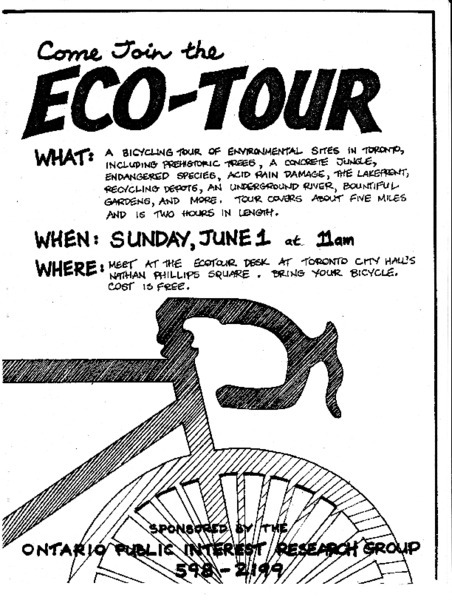 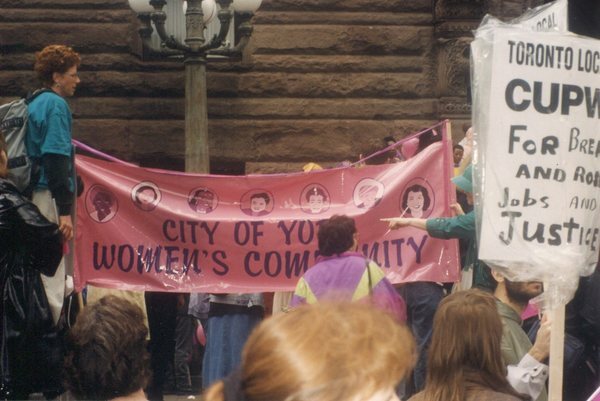 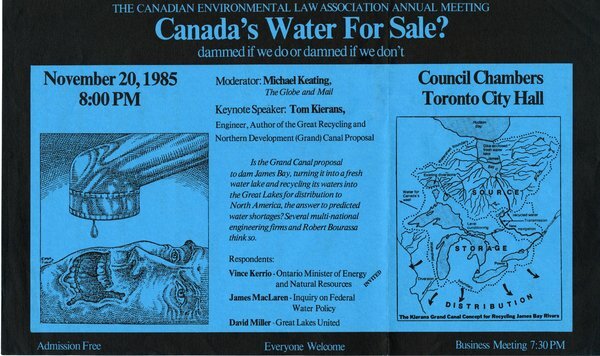 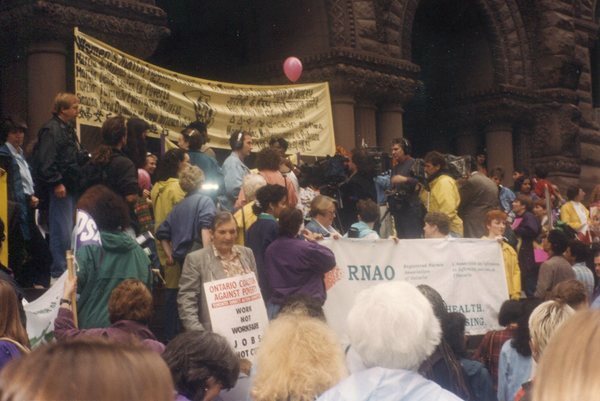 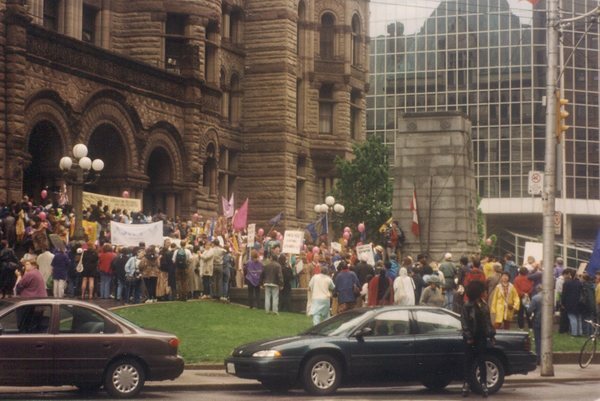 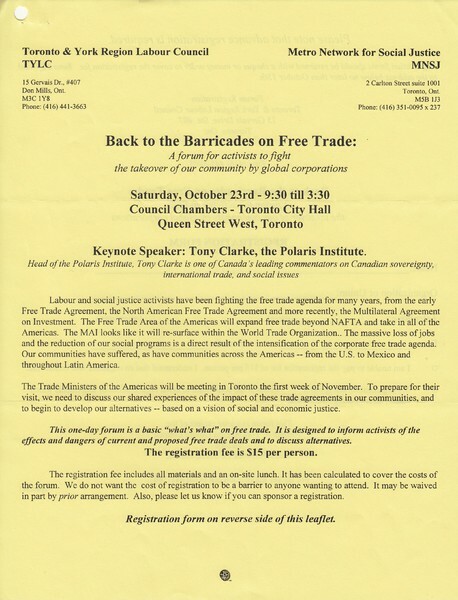 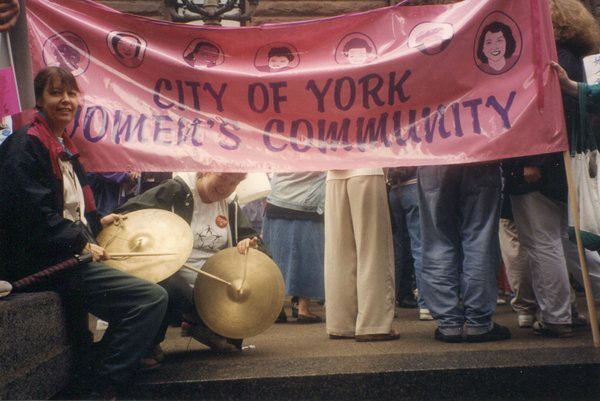 Poster advertising a rally to protest a proposed anti-squeegeeing city by-law. 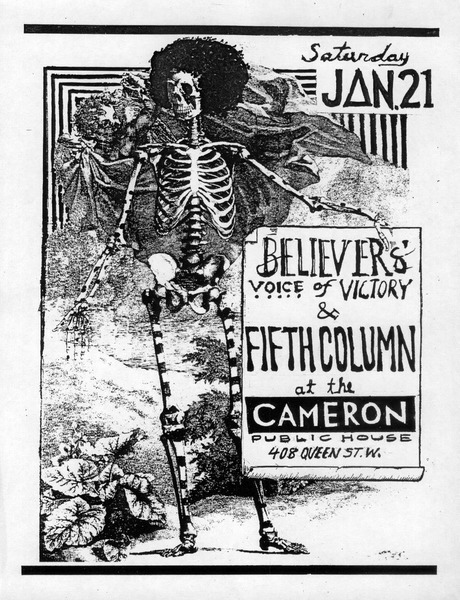 Poster for Fifth Column and Believer's Voice of Victory show at The Cameron House on Saturday, June 21, 1986. 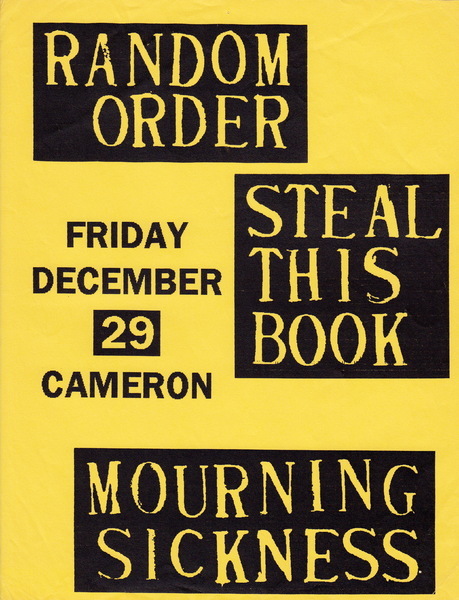 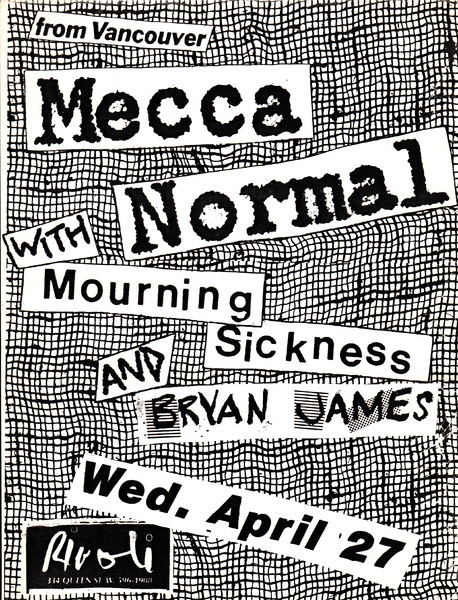 Poster for the Random Order, Steal This Book and Mourning Sickness show at the Cameron House. 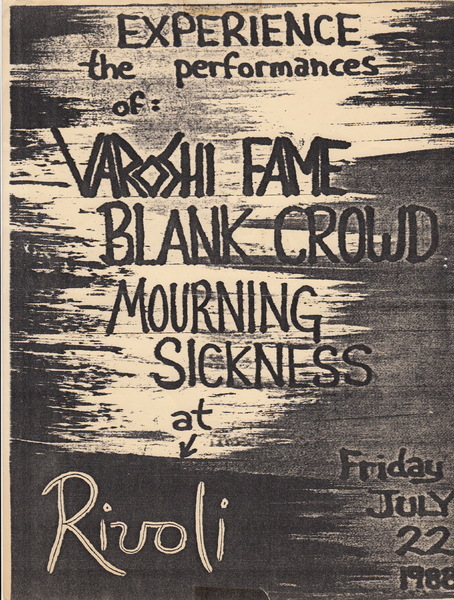 Toronto avant garde/industrial bands Varoshi Fame, Mourning Sickness and Blank Crowd at the Rivoli. 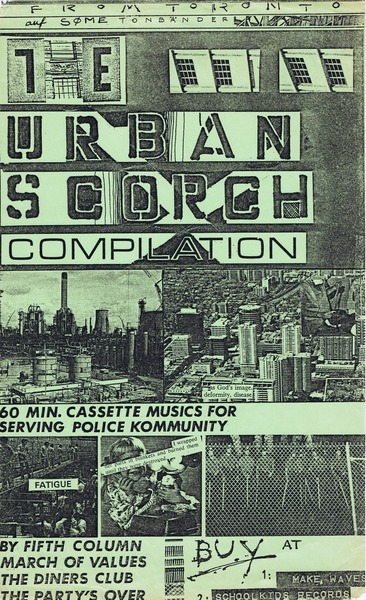 This is a poster for the release of the Urban Scorch compilation - the first cassette compilation released in Toronto by Søme Records.